In my review of The Eleventh Hour, I complained that Steven Moffat was trying too hard to be Russell Davies, and in the omega of this season he repeats the emulation of the alpha. But once again he does it so well that I find myself enjoying the ride even as I’m loathing, conceptually, some of what I’m seeing on screen. There’s a term for this, of course: guilty pleasures. The Pandorica Opens/The Big Bang is another guilty pleasure, and effectively gives Moffat’s predecessor the finger whilst feigning homage. The subtext essentially is, if you’re going to raise the stakes to extreme heights, Mr. Davies, this is how you do it. The Pandorica Opens is an admittedly queasy viewing experience, as its style copies The Stolen Earth to a tee — a barrage of fanwank serving as an extended set up which could segue into something spectacular or a bloody mess. This time, instead of everyone trying to telephone the Doctor (though there’s some of that too), it’s him and River Song circling the Pandorica trying to make sense of it. And in place of returning companions (who got nothing to do in the season four finale besides hug each other), it’s now every enemy the Doctor ever faced — Daleks, Cybermen, Slitheen, Drahvins, Sontarans, Silurians, Judoon, and more — all swarming over Stonehenge in 102 AD, ready to claim the artifact. Then there is Rory, back from the dead somehow as a Roman soldier, which of course feels like a cop-out until he is revealed, stunningly, to be an Auton and shoots Amy dead. As the Doctor is thrown into his prison, the TARDIS starts exploding around River Song, and all the stars in the universe go supernova, we’re left wondering if The Big Bang can possibly pay off these narrative debts without resorting to cheap resets. The key word being “cheap”. Resets are often uncritically maligned (I complain about and dread them myself), but they can be very legitimate and inevitable consequences of fixing time damage. Father’s Day depends on a colossal reset, but you never hear anyone complain about it; it’s rightly hailed as a classic. The reason, of course, owes to the dramatic involvement of Pete Tyler. His intense interactions with the daughter he’ll never see grow up are so emotional, and his voluntary death so tragic, that the reset is almost invisible. (Many fans are genuinely shocked when you remind them that the world is saved by a reset in Father’s Day.) At the other pole is Last of the Time Lords involving a universally despised deus ex machina. It’s not that there is anything theoretically wrong with the reset in the season-three finale — when you stop and think about it, the winding back of time would be the logical outcome of destroying the Master’s paradox machine — only in its dramatic execution. No protagonists die, no real loss is felt, and on top of that, there is the ridiculous solution of the Doctor being prayed back into existence. The problem with Last of the Time Lords is not that it involves a reset, but that it involves a reset unaccompanied by proper dramatic payoff. Victory has to cost. It does cost in The Big Bang, though not as much as it could have. Rory’s consciousness overcomes his Auton physicality a bit too easily for my liking, and Amy is back from the dead before we know it. I would have killed off Rory for good and dragged out Amy’s death much longer, and written a less than happy ending. Yet I can’t honestly say I felt cheated by what Moffat serves up for us, because he compensated in plenty other ways. First is the Doctor’s sacrifice. When he flies the Pandorica into the heart of the exploding TARDIS, the world starts reconstituting itself and he starts fading from existence, and the backwards manner of this erasure is one of my favorite parts of the story. He sees Amy in a set of replays, and amongst the flashbacks he visits her at the point of Flesh and Stone when she’s blind (I knew this wasn’t a continuity error), telling her she must remember what he told her when she was seven. 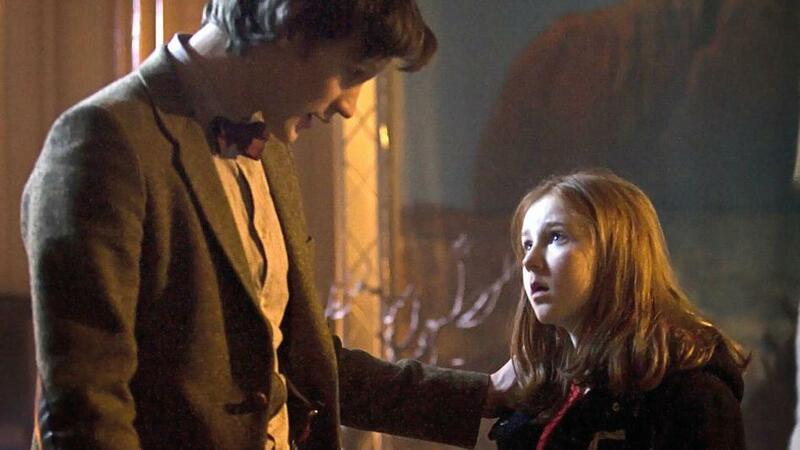 We then find out what this was in the next replay, as he returns to a sleeping seven-year old Amelia the night he stood her up in The Eleventh Hour. He lifts her from her garden, puts her to bed, and talks while she sleeps, planting a permanent memory within her that will ultimately save him; he walks into the last crack; it closes behind him, killing him; the world is saved. Second, this reset carries the unexpected surprise of giving back people we never knew existed — most obviously, Amy’s parents. This beautifully accounts for the emptiness of Amy’s many-roomed house and why she never talked about a family. Early in the season I made clear my feelings for her parental absence: I was relieved beyond measure that we didn’t have to suffer through yet another season of a TARDIS companion weighed down by a dysfunctional family. But I never gave much thought as to what happened to her parents; I certainly never guessed that the crack in her bedroom wall had obliterated them from history. So when they “come back” at the end of this story, it feels like more than a reset, a genuine surprise and rewarding payoff in a way we’re not used to. When all is said and done, I really can’t object to the happy ending of The Big Bang just because I would have preferred something more along the lines of Pan’s Labyrinth or The Girl in the Fireplace. It works; it’s clever; it ties up all the loose ends of the season; and most importantly it feels right. 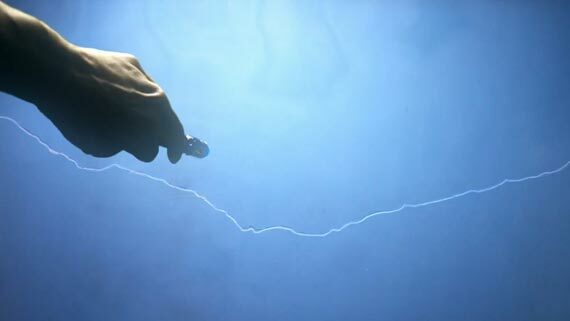 I should say that the crack in Amy’s bedroom wall has been the most successful seasonal story arc of the new series. Torchwood and Saxon were good too, but they have nothing on these rifts in time. (Bad Wolf was complete rubbish, and the less said about Donna’s role in season four the better.) I’m wondering if the cracks are intentionally reminiscent of the time winds in Warriors’ Gate, which also had the power to eat away at things. If so, then Moffat has been paying a clever homage to the E-Space Trilogy all along, with The Beast Below paralleling the politics of Full Circle, Vampires of Venice standing in for State of Decay, and the The Big Bang juggling time paradoxes as confusingly (and as cleverly) as Warriors’ Gate. I should also say, now that the season is finished, that Matt Smith has completely superseded my expectations. He does just as well as Tennant. I’m not going to pretend that The Pandorica Opens/The Big Bang is amongst Moffat’s greatest stories, but it is a hugely enjoyable finale that is already growing on me like The Eleventh Hour. Though he’d never admit to it, I’m sure Moffat was going out of his way to show his predecessor how to properly do a story like Journey’s End. Next season I suspect he’s going to give the one-upsmanship a rest and focus exclusively on doing his own thing. In an interview in New York he hinted that the book-ends of season six will be completely unlike these fanwank pieces we’re used to. As I said in The Eleventh Hour, miracles don’t happen overnight. But perhaps over the course of a season. Don’t you hate all those fan-made trailers on YouTube? So do I, but once in a while someone really knows what they’re doing. Check out this “Inceptionalized” Dark Knight Trailer. It’s far better than any of the official trailers for The Dark Knight, and done against the background of the ominously intense music of the recent Inception trailer. Apologists might argue that it seems worse than it is sandwiched in between Vincent and the Doctor and the much-anticipated season finale. But frankly The Lodger is so bad that placing it in between any other stories, no matter how dire — even lemons like Boom Town and Fear Her — would amount to little more than trying to polish a turd. Even if I could excuse the paucity of the plot, the fact remains that it is intensely uninteresting. It’s worse than pedestrian and plays like a garden variety sitcom, with the monster at the top of the stairs a throwaway, and it’s never clear why the Doctor can’t go up the stairs right away to deal with the problem other than to satisfy the demands of an empty script. The direction is barely adequate, the design uninspiring; the cast struggle bravely to deliver what is essentially a trivial love story. The set up of the staircase is promisingly sinister, but it delivers manure. The best thing about the episode is the sight of Matt Smith naked from the waist up. 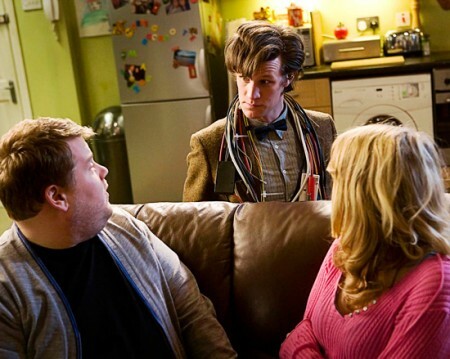 We caught a hint of his sensuous form in The Eleventh Hour when he traded in his “Raggedy Doctor” clothes for the new look, but here we are treated to a much grander spectacle in the context of sharing a flat with someone else, showering, and getting all touchy-feely with Craig. It’s quite exciting and warmed me in my nether regions, and even had me wishing Doctor Who was an adult show. If we’re going to be subject to soap-sitcom episodes, more skin like this would be appreciated. And if my commentary in this paragraph is a bit off-putting, the story deserves nothing more. 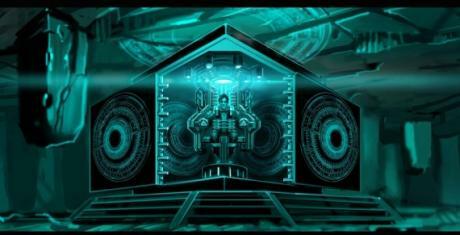 The Pandorica can’t open soon enough. Apparently this is the first intensive study of the subject from a behaviorist perspective, and looks like it will be a fun read. Philip Esler has been appointed principal of St. Mary’s University College. A loss for St. Andrews. I was expecting this story to be the season’s lemon, since I despise the work I’ve seen by Richard Curtis, but last week’s trailer gave me pause. It looked pretty good. Two reviews posted on Friday also gave me pause. 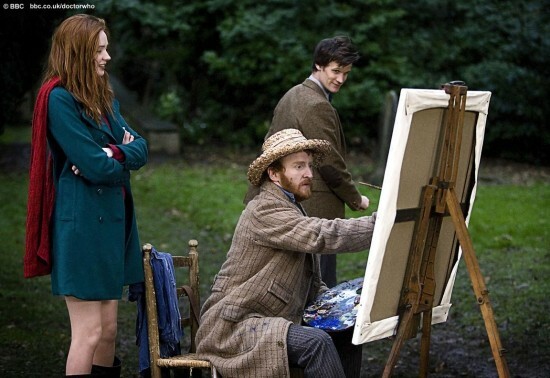 One thoroughly trashed it (“If the Fourth Doctor saw this episode, he’d write ‘This is a fake’ on every canvas”, declaims the critic) while the other awarded a perfect rating. Other reviews since then have shown a consistent pattern: those who hate the story do so with a perfect hatred (Ps. 139:22), while those who love it can’t find enough ways to say it. So what’s the deal? The latter have it right. Curtis hit a home run. It’s a character piece above all, about a tormented genius who has visual acuity beyond the norm, and is trapped in a world of pain. If artists are destined to be stereotyped as cracked misfits, it’s at least accurate in the case of Vincent van Gogh. He shot himself at age 37, at the height of his artistry and churning out paintings at breakneck speed. The story represents this period of Van Gogh’s life quite well, recreating various sites painted by the artist, the paintings themselves in arresting color, and his disturbing fits of manic depression. That the BBC decided to broadcast helpline information over the rolling credits (“If you’ve been affected by the issues raised in this program, and you’d like support, call the BBC Action Line…”) has been scorned, but I thought it was a kind enough gesture. The ending is emotionally intense and could potentially cause pain to those similarly depressed, and Doctor Who is a family show. I can think of other things to heap my derision on than humanitarian sensitivity. Such as Murray Gold’s scoring. The man should be shot for playing Athlete’s “Chances” over the final museum scene, which is emotional enough without the added pollution of a rock ballad. The offensive song spoiled what could have been a 5-star episode. Murray Gold has blown it before, but in Vincent and the Doctor his musical ear hits an all-time low — near the equivalent, dare I say, of Russell Davies’ scriptwriting crimes in the season-four finale. Everything else about the story, however, particularly the bulk of it set in 1890 Provence, is perfect. The theme of vision permeates every frame, as we learn that Van Gogh can see things others are blind to. On the literal level this plays out in the attack of the Krafayis, an invisible giant bird-reptile that Vincent fends off entertainingly with long wooden poles and armchairs. It is quite amusing to watch the Doctor futilely emulate Vincent’s thrusts and parries against the creature, as he of course never hits the thing and succeeds only in getting himself slammed against the wall by its tail. His special mirror device which can spot invisible objects is also a nice touch, and we end up seeing just enough of the beast at the right moments lest we grow tired of the spectacle of Vincent and the Doctor combating thin air. On the deeper level, Van Gogh sees things in nature’s midst and people’s souls. 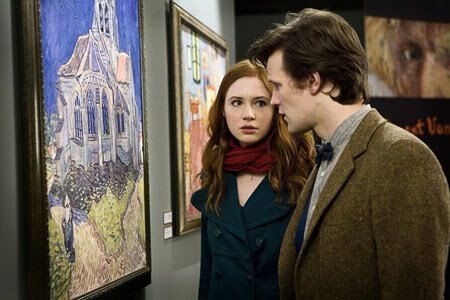 Wonderfully realized is the scene involving the night sky transforming into the artist’s Starry Night canvas, which the Doctor and Amy can see too since they’re linked to the vision by holding Vincent’s hands. Van Gogh can also see that Amy is sad though she doesn’t know it, crying on the inside, over the recent death of Rory tragically forgotten. Curtis has the wisdom (and mercy) to not allow time to be rewritten to the extent that Van Gogh postpones his suicide. The overwhelming joy he is given by experiencing posthumous fame is transitory, and even leaves us wondering if his fate remains on course because of this, rather than despite it. (How is one supposed to go back to living a mundane life wholly unappreciated and a commercial disaster after such escapades with the Doctor?) Yet a few time ripples have been stirred. The Krafayis has disappeared from The Church at Auvers painting; the museum turns up a new Van Gogh piece dedicated to Amy; most importantly, as the Doctor says, he and Amy added to Vincent’s “pile of good things” in life even if they couldn’t save him. 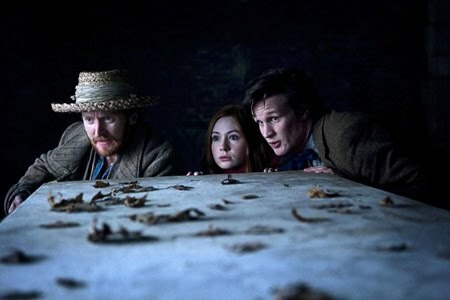 Vincent and the Doctor is a standout achievement, and adds plenty to the “pile of good things” in season five.